IN APRIL 1977 the publishing worlds of London and New York were startled by the appearance of David Irving’s Hitler’s War (Hodder & Stoughton, Ltd. and The Viking Press Inc.) It was unique among biographies in its method of describing a major historical event - World War Two through the eyes of one of the dictator himself. ‘What Hitler did not order, or did not learn, does not figure in this book,’ explains the author. ‘The narrative of events unfolds in the precise sequence that Hitler himself became involved in them.’ The first that the reader knows of a plot against Hitler’s life is when the army traitor Count von Stauffenberg’s bomb explodes beneath the table at the Führer’s headquarters. The investigation follows. It is an unusual technique, but it works. The book sold twenty-five thousand copies in its first UK hardback edition, and was often reprinted and translated after that. It became a recommended reference work at West Point, at Sandhurst, and in university libraries around the world, because it quoted documents that other famous historians had failed to find. 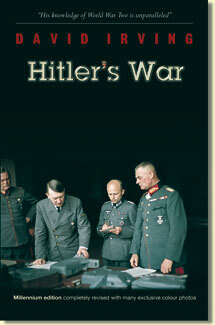 In 1991 Focal Point have prepared a new edition, updated, revised and including The War Path, the author’s narrative of Hitler’s prewar years. This was a timely precaution, as Mr Irving’s other publishers were now coming under a systematic and orchestrated attack. 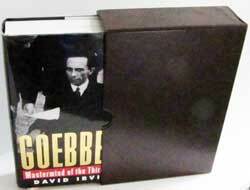 In July 1992, on the day after he returned triumphantly from Moscow bringing the unpublished Goebbels diaries from former KGB archives, his main publisher, Macmillan Ltd., secretly ordered all remaining copies of their editions of his books burned. The Trust began a campaign to smash the windows of bookstores selling our books -- Nottingham, Newcastle, Norwich were among the first. Public Libraries were requested to pull his books from their shelves. Italian, French, Spanish, and Scandinavian publishers who had rights to translate the massive work were prevailed upon never to release it. 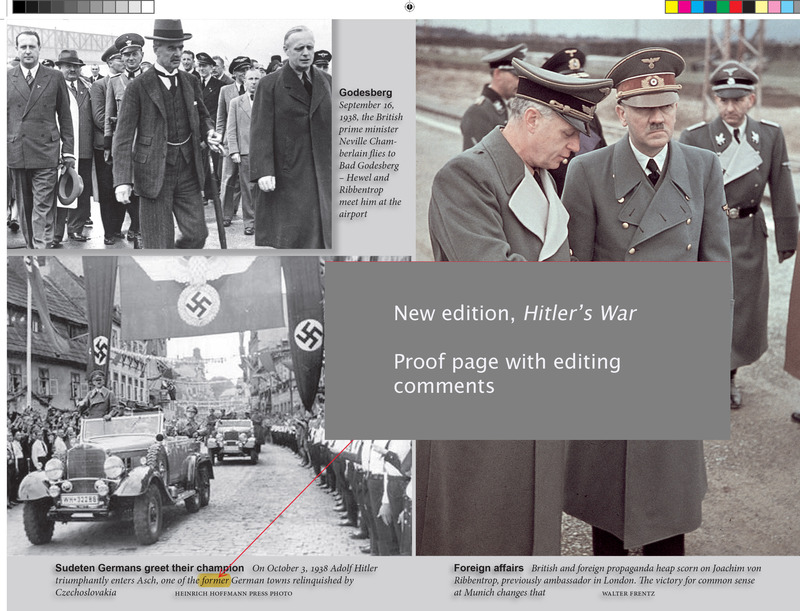 The Focal Point edition incorporated all the latest finds, including scores of illustrations, the unknown colour photographs, the diaries of Hermann Göring and Hitler’s controversial doctor Morell; and, for the first time, dramatic colour photographs taken by Hitler’s film cameraman Walter Frentz. The 2002 Millennium edition was further updated with a sheaf of new evidence including the long-lost Gestapo interrogations staff — now in private American hands — of Rudolf Hess’s and SS and other documents intercepted by British codebreakers. Now in 2018 we are offering a new edition with even more unknown pictures, until November 30 at a special price.